Bump testing has always been a challenge for mobile users with the difficulties and cost of transporting gas and regulators. After listening to your needs, Crowcon have found a solution to make bump testing easier. 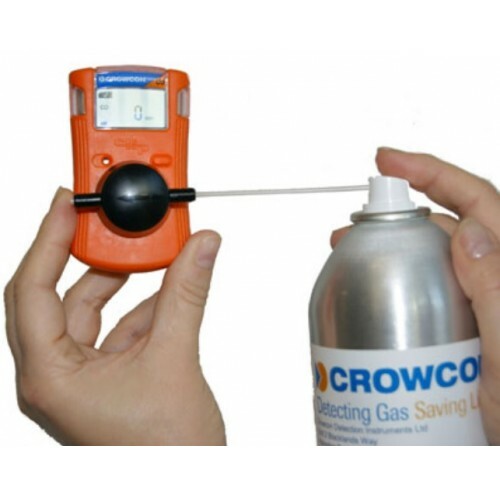 Crowcon's Bump Gas Spray is a can that comes with a nozzle for easy testing of equipment. Simply attach the straw onto the nozzle and spray a small amount of gas into the unit's calibration cap. The unit will then go into alarm and show you that it is fully functional with audible and visual checks. If you want to know more about the Crowcon products we stock & distribute or can’t find what you’re looking for please Contact Us, or give us a call on +44 (0)1254 207532 and a member of the team will be happy to assist.